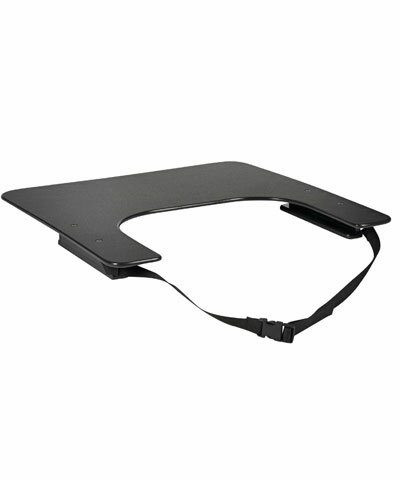 BioForm Upper Extremity Support Tray Surface (U.E.S.S. ), including; ¼" Black Phenolic, a pair of slide channels with a rear securing fastex buckle strap. The U.E.S.S. is useful in upper trunk positioning when "righting" of the client requires stabilization using the arms. It is also a very useful surface for learning materials, food and other A.D.L. items. Upper Extremity Supports offered by Bio Dynamics are designed to enhance the activities of daily living (adl´s) as well as aid in upper trunk support. The many modifications available will help create the final product that will suit all of the client´s needs. Upper Extremity Support manufactured by BioDynamics are offered in various forms; arm troughs, upper extremity support surfaces, arm/wrist straps, etc,. Upper Extremity Supports Surfaces offered by Bio Dynamics are designed to enhance the activities of daily living (adl´s) as well as aid in upper trunk support. The many modifications available will help create the final product that will suit all of the client´s needs. 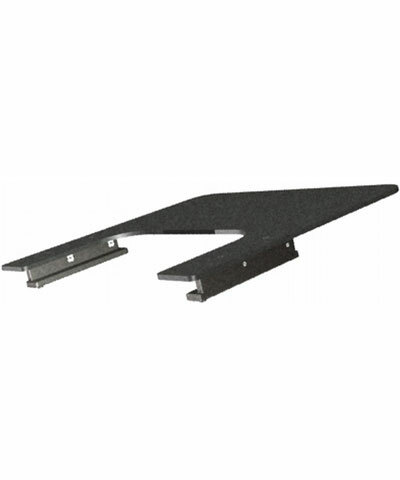 The various choices of mounting hardware allow our support surfaces to fit on most any mobility base. The Upper Extremity Supports Surfaces are available in 3 surface materials; 3/8" clear Lexan, 1/4" Black Phenolic, 3/8" White Sanalite and 3/8" Black Sanalite. BioDynamics offers 2 lines of Upper Extremity Supports Surfaces: BioDezine and BioForm. Four packages exist within both of the: BioDezine and BioForm lines of upper extremity support surfaces. The list of modifications available to our line of Upper Extremity Supports Surfaces is detailed below. 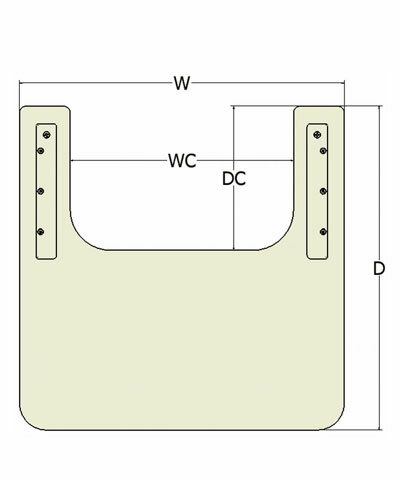 The dimensions of the Upper Extremity Supports Surfaces need to be specified. The BioForm Upper Extremity Supports Surfaces are available in 4 surface materials; 3/8" clear Lexan, 1/4" Black Phenolic, 3/8" White Sanalite and 3/8" Black Sanalite. Our standard mounting option of slides with an attaching belt insures the Upper Extremity Support Surface will stay in place.